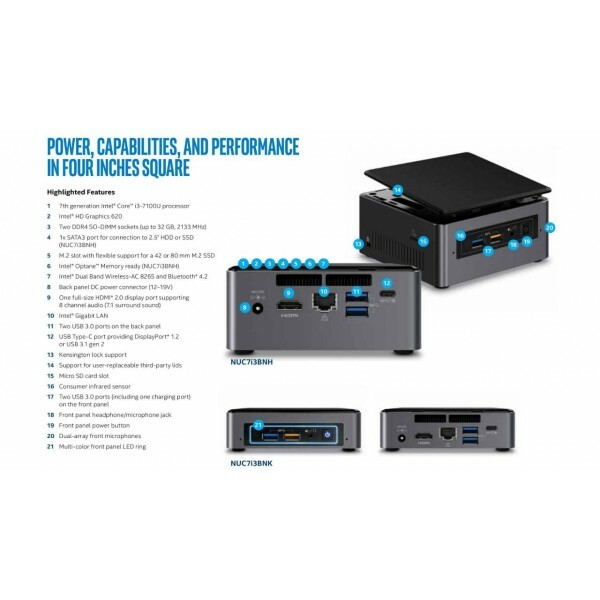 At Legend PC, we offer complete solution with our Intel NUC model. 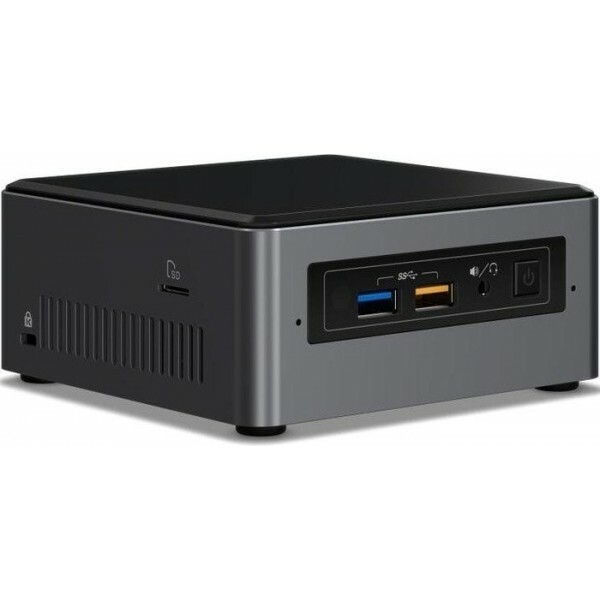 Every Intel NUC comes with 8GB Ram, SSD Drive & Genuine Windows 10 pre-installed, so all you need is plug-in and play. Get ready for truly immersive entertainment. 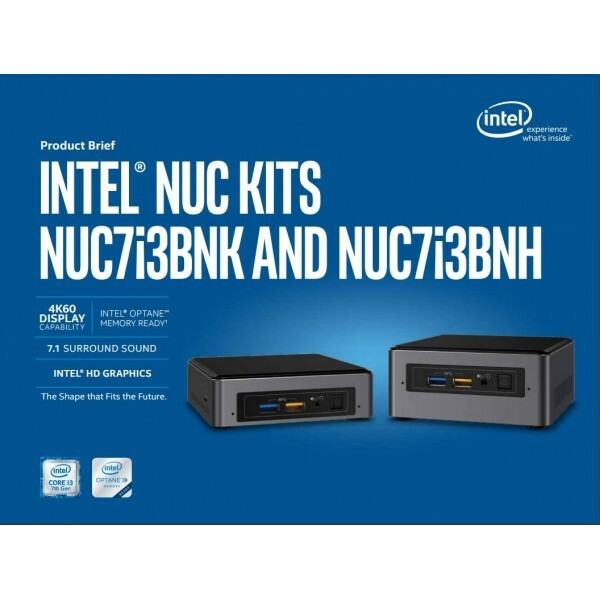 The Intel NUC Kit NUC7i3BNH is built with a dual-core 7th Generation Intel Core i3 processor. So whether you’re streaming the latest movie or need to finish that last minute presentation, you’ve got the performance to handle it with ease. With dual-array front microphones, you can take full advantage of Windows 10. Now you’ve got your own digital personal assistant to keep you on time to appointments, help you send email, or find that new recipe. 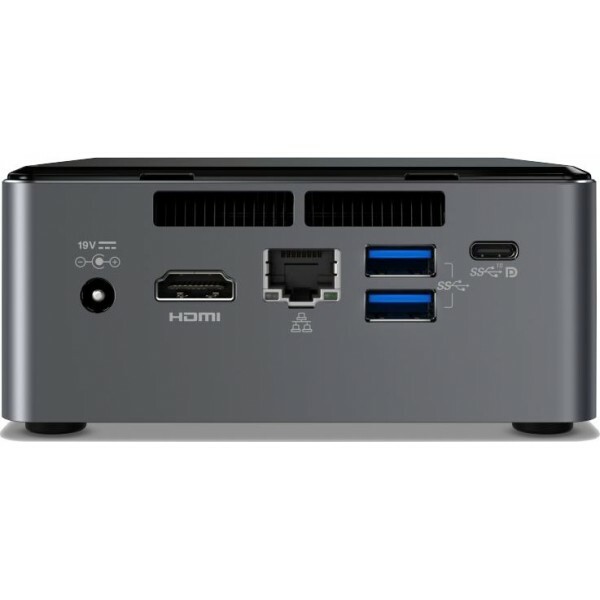 Intel NUC Kit NUC7i3BNH also supports 4K at 60 Hz via an HDMI 2.0 port. A multi-color LED ring lets you personalize your NUC with the look you want. 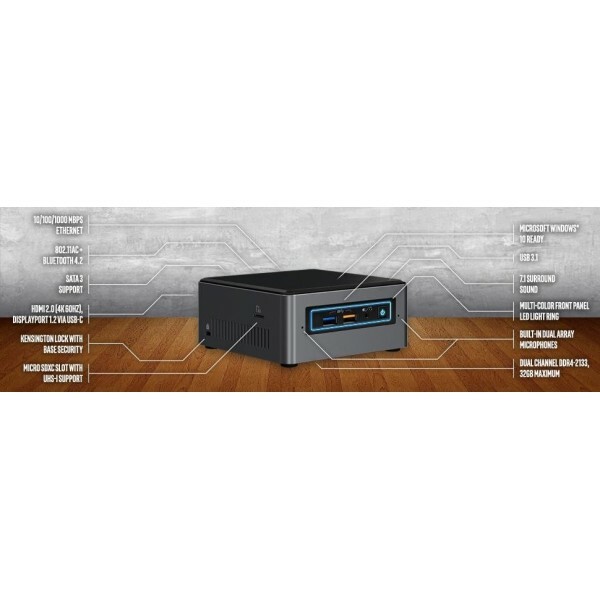 Also features a 2.5" drive bay for an SSD or HDD with up to 2 TB of storage.